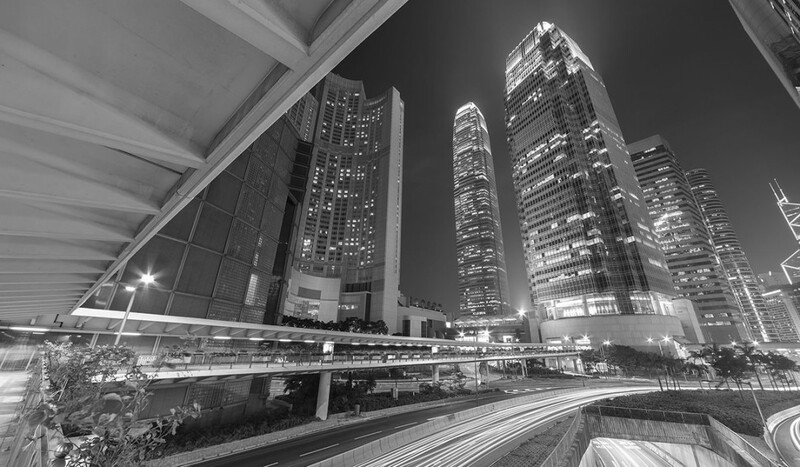 Hong Kong is generally perceived by the international business community to be one of the major financial and commercial centres of the world and Shenzhen’s status is rapidly emerging. This note seeks to provide an outline of various matters to be considered when intending to establish operations either in Hong Kong or Shenzhen. Please note that this note only reflects the general features of the laws and legislation currently in force and should not be relied upon in isolation. Specific and detailed advice on all aspects of establishing operations, especially competent PRC legal advice when establishing in Shenzhen, and the specific business and industry entry and continuing requirements should be obtained before action is taken. the setting up of a branch office of another overseas subsidiary of the Overseas Corporation. representative offices and branch offices. There are other ways of setting up operations in Hong Kong and Shenzhen, such as under joint venture arrangements (for Hong Kong, similar to equity joint ventures and sino-foreign contractual and co-operative joint ventures of the PRC), through a partnership or by way of the acquisition of an existing business, but only the choices set out above will be focused upon in this brochure. Here I have assumed that any subsidiary (the “Subsidiary”) incorporated in Hong Kong by the Overseas Corporation would be a private company limited by shares and not a public limited company. Private companies have less onerous public disclosure obligations than public companies (e.g. audited accounts need not be filed with the Registrar of Companies in Hong Kong). prohibit the making of offers by the Subsidiary to the public to acquire its securities. To incorporate the Subsidiary, various documents, including its Memorandum and Articles of Association, together with a fee (currently HK$1,720 for a company with an authorised share capital not exceeding HK$30,000 – if unsuccessful, refund of $1,425 will be made) must be delivered to the Registrar of Companies. Further, a capital duty in respect of the authorised share capital is payable, currently, a capital duty of HK$1.00 is payable for every increase of HK$1,000 or part thereof of the authorised capital subject to a maximum of HK$30,000.00. the association is a company authorised to be registered and duly registered. In the interests of speed, it is possible to purchase a company which has already been incorporated with a standard form Memorandum and Articles of Association “off the shelf” within a day or two (otherwise incorporation can take three to four weeks). Its constitution and name can then be amended as desired. The fee payable for change of company name is HK$295 (if unsuccessful, a refund of $55 will be made), and an additional issue of a Certificate of Incorporation on Change of Name is HK$170. The same considerations will apply to the choice of a new name as are mentioned in paragraph 3.4 below. The constitution of the Subsidiary is set out in its constitutional documents; namely, its Memorandum and Articles of Association. The Memorandum is the document fundamental to the formation of a registered company. From 1997, the Legislation provides that only companies intending to apply for a licence to dispose with using the word “Limited” in their names or those whose Memoranda being subject to requirements specified in or under other enactment, are required to have an objects clause (i.e. a clause specifying the proposed business scope or activities and the powers of the company) in their memorandum of association. All other companies are no longer required to state their objects in their memoranda. Though in practice, numerous and full objects and powers of a company are specified in its memorandum. The Articles of Association deal with the internal regulation of the Subsidiary, such as the rights of the shareholders and the powers and functions of the directors. Typically, companies are incorporated with a share capital of HK$10,000 divided into 10,000 shares of HK$1 each, although this may be varied as required. There must always be at least 2 members (i.e. shareholders) for the Subsidiary to keep its limited liability, although one member may hold a share or shares as the nominee of the other. Neither member need be resident in Hong Kong. A member can be an individual or a corporation. As mentioned earlier, capital duty in respect of the authorised share capital of the Subsidiary is payable. Currently, a capital duty of HK$1.00 is payable for every increase of HK$1,000 or part thereof of the authorised capital subject to a maximum of HK$30,000.00. The name of the Subsidiary must, except in very limited cases (such as charitable companies), end with the word “limited” and must not be the same as that of a company already registered with the Registrar of Companies or that of a body corporate established under an Ordinance in Hong Kong. A company may now be registered with its name expressed either in the English language, or the Chinese language or with names in both languages. Where Chinese characters are used for the Subsidiary’s name, four prescribed Chinese characters (“you xian gong si”, translated as “limited company”) must appear at the end of that name. Some sensitive names such as “Government”, “Department” or “Trust” or other names which may give the impression that the company is connected with the Government cannot be taken by a company without the permission of the Chief Executive of the Hong Kong Special Administrative Region. There are other restrictions on the choice of a name for a company. Further, when choosing a company name, companies should be aware of the common law tort of “passing off”. This involves using a business name which is deceptively similar to the name of another business so that actual damage has been, or is likely to be, caused to the owner of that other business. If the Subsidiary is registered under a name which is the same or too similar to that of another company that is already registered, then the Registrar may direct the Subsidiary, within 12 months of registration, to change its name. The Subsidiary must have at least two directors and a secretary. One of the directors can also be, subject to certain restrictions, the secretary. The secretary is usually responsible for performing clerical duties such as keeping the books and records of the Subsidiary, keeping custody of the seal and making sure that all necessary documents are filed with the Registrar of Companies. The secretary must be resident in Hong Kong and can be an individual or a corporation. From the day on which the Subsidiary begins to carry on a business, or 14 days after its incorporation (whichever is the earlier), the Subsidiary must have a “registered office” in Hong Kong to which any legal or official notices or communications may be sent. Such notices or communications are properly served if left at or sent by post to that office (s.356) (where served by post they are deemed to be effective at the time they would be delivered in the ordinary course of post: Treasure Land and Property Consultants v. United smart Development Limited). The registered office does not need to be the address from which the Subsidiary operates and could for example be the address of its auditor. The Companies Registrar must be notified if the various statutory registers and documents of the Subsidiary (i.e. registers of debenture holders, members, charges, directors and secretaries and minutes of proceedings of general meetings and meetings of directors) are not kept at the registered office. The Subsidiary needs to appoint an auditor who must be an accountant, or firm of accountants, with recognised qualifications, which is registered in Hong Kong under the Professional Accountants Ordinance. When the Subsidiary starts to carry on any new business (whether from its principal premises or a branch) it must apply to the Inland Revenue Department within one month from the commencement of the business for registration under the Business Registration Ordinance. Particulars of the new business must accompany the application and any changes must be notified to the Inland Revenue Department. three year – upon payment of HK$7,000 for the main office and HK$1,989 for the branch office.